Welcome to the companion website for Principles of American Journalism: An Introduction, Second Edition, by Stephanie Craft and Charles N. Davis. This engaging text introduces students to the core values of journalism and its singular role in a democracy.  It provides a comprehensive exploration of the guiding principles of journalism: the profession's ethical and legal foundations, its historical and modern precepts, the economic landscape of journalism, the relationships among journalism and other social institutions, and the key issues and challenges that contemporary journalists face, making students more mindful practitioners of journalism and more informed media consumers. Updated with new examples throughout, the second edition incorporates the many changes to the media landscape since the first edition. The new edition places particular emphasis on emerging news business models and brings up to date material throughout the book, reflecting the lightning-fast pace of change in the industry, and contains new sidebars, additional readings and assignments. Activities and discussion questions for each chapter. Website content created by Jennifer Follis at the University of Illinois’s Department of Journalism. This revised edition of Principles of American Journalism examines journalism’s past, present, and future to underscore the essential functions that journalism fulfills in a democracy. The book’s conversational tone is allied to ample testimonies from journalists in the field, making it an accessible and engaging text for journalism students. Craft and Davis adeptly articulate the importance of journalism in society through its history, impact, successes and challenges, particularly in the significant changes revolutionizing the field today. No other book boils this down as succinctly and clearly. Their book should be required reading for anyone considering a career in journalism. New sections illuminate the rapidly changing media landscape, including industry changes in ownership, an update to the Society of Professional Journalists code of ethics, and the effects of social media on news. Nobody else covers so much material in such a clear, concise way, bolstered by professionals’ real stories and practical assignments for learning the craft. Principles of American Journalism is still the most up-to-date, relevant book for teaching the fundamentals of journalism and innovations in the profession. Every word of this book will serve students as they prepare to enter the workforce and practice responsible and ethical journalism. 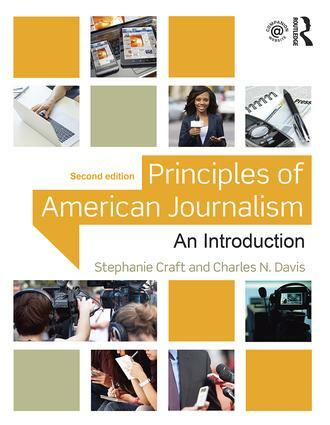 The second edition of Craft and Davis’ Principles of American Journalism is the perfect primer for the journalism student of today or those simply interested in learning more about the ever-changing field. The authors provide easily understandable, thoughtful, and in-depth insight into what journalism is and the critically important role it plays in a democratic society. Craft and Davis offer a roadmap to understanding how the principles of American journalism are a way of seeing things. They are about ideals. This book is an honest yet aspirational account of what journalism is and what it can be. Craft and Davis return to the past to discover a future where journalists do more than just good work. Journalism changes, and journalists keep doing the work that must be done in order for democracy to flourish. Click a button to find out more.